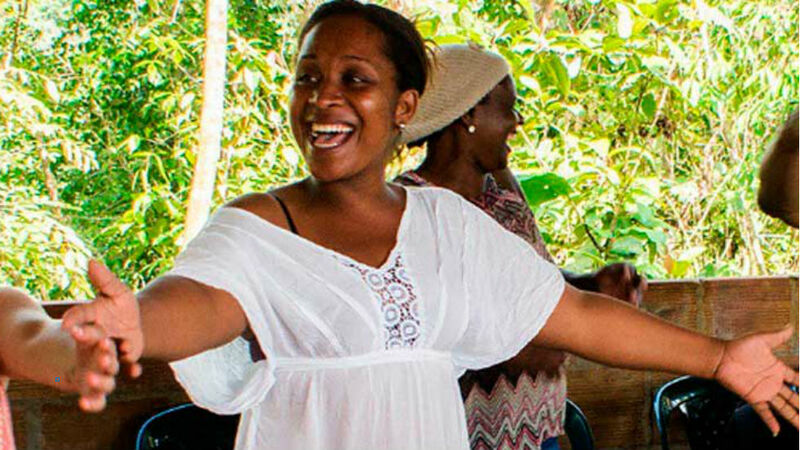 A community leader and her husband were brutally murdered near the port city of Buenaventura, their bodies found bruised, beaten and gunshot wounded in a jungle area on Tuesday, reported El Espectador. The community leader Emilsen Manyoma (32) and her husband Joe Javier Rodallega (36) reportedly had been threatened in days leading up to murder, according to El Tiempo newspaper. Linda Maria Valois, Joe’s mother, said that she was unaware of the whereabouts of the couple since Saturday at 8:30 pm until she received the news that their bodies had been found. “They were at home with their son and they were already in their pajamas watching a movie; they say they were picked up in a taxi type vehicle and which left them in the sector of the Virgin in the Las Palmas neighborhood and from there we did not know their whereabouts until they gave us this terrible news,” said the mother to El Pais newspaper. While authorities are yet to give any indication of the motive behind the grizzly murders, they come at a time when social activists throughout the country are being targeted with three human rights defenders killed last week in the provinces of Cauca and Antioquia. The murdered woman and leader of Bajo Calima’s Human Rights organization had been involved in social activism since 2005, when she denounced paramilitary control and drug trafficking in El Calima. She was also an active member of the organization “Communities Building Peace in Territories” (CONPAZ), and had been supporting the documentation of murders and disappearances for the Truth Commission. The brutal manner in which this act of violence was carried out follows a similar pattern to executions of community leaders and social activists throughout the country. Colombia’s ombudsman last week called on the Santos administration to take action to protect the lives of community leaders and social activists who he considers “the most committed to peace and national reconciliation,” reported Vanguardia newspaper. Such persecution against those who seek to defend the rights of their local communities has increased dramatically during the tenure of President Santos, with 534 political activists killed in between 2011 and 2016 according to statistics published by a British human rights NGO, Justice for Colombia (JFC). Despite comments from Colombia’s Defense Minister Luis Carlos Villegas sustaining last week that “there are no paramilitary groups in Colombia”, the killings have sparked outcry from leaders of rural human rights organizations who seek to see more guarantees given to community leaders and better protection from neo-paramilitary groups. The wave of persecution has also caught the attention of the UN, who last month published a report publicly condemning such violence and calling on the US and Colombian governments to work together in order to prevent further attacks from happening.